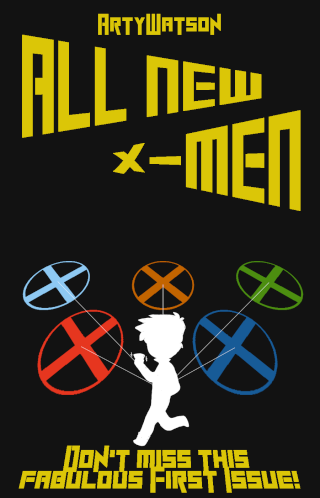 With a new year comes a new team of X-Men. Their first mission: To settle a mutant attack in Times Square, after the creation of their new team. Those of age are offered an extensive training session with the Danger Room, a highly advanced training facility. The exceptional students are given the opportunity to join The X-Men, a team of mutants fighting for peace and equality in a world where fear and hatred of the mutant subspecies is fierce and widespread. Those who accept are given their first uniforms; The basic navy blue and yellow uniforms used by the first team in the 60's, with some slight modern alteration. Not long after the selection, the team's first mission is decided. Reports of an attacking mutant--A blond telepath forcing citizens to riot--are investigated by the team.